To assemble, spread tortilla with Raven’s Garden Party Dip. Evenly layer above toppings over the tortilla, or just use your imagination! Fold tortilla’s in about an inch on the West & East Sides… Roll up snugly from the south side of the tortilla. Wrap tightly in waxed paper and store in the refrigerator until ready to serve. Cut diagonally in half before serving. Enjoy! 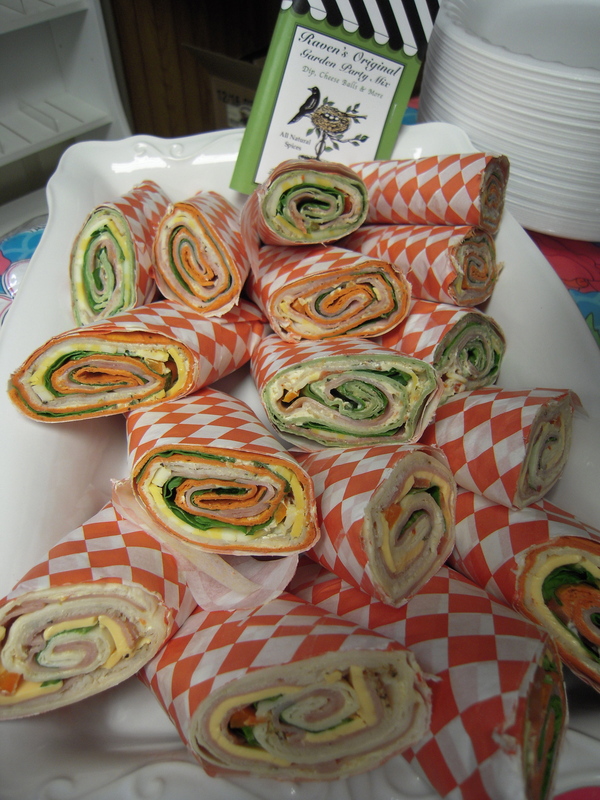 *This was served at Adrians Boutique’s 2012 Garden Party (Spring Open House). Enjoy!